I do believe there’s such a thing as déjà vu. Many times in my life, I’ve sensed I’ve experienced something before, details are foggy, but nonetheless there’s that strange feeling of having been there, done that. That’s the sensation I got when I began reading both old, and relatively new, and scarce, British cookbooks, with their mentions of puddings, especially Yorkshire pudding. Not only did I metaphorically slip into my seat at my grandmother’s table, I found myself standing in front of the various stoves of my myriad kitchens around the world. The recipes in those British cookbooks could have been lifted verbatim from the vault of my mind, so similar were they to what I knew from the very first bite of solid food I ever ate. Those comments presuppose that I carry around some kind of definition in my mind as to what constitutes British food, what American food is at base, and how the two intertwine. And of course I do. The first thing that comes to mind is the traditional preponderance of beef in both cuisines. Then come potatoes. And peas. No Yorkshire pudding on this side of the pond, at least not that I recall, it being one of those dishes that disappeared from the mainstream. Unless … you count spoonbread, made with corn*, a dish that seems have remained stuck in the southeastern region of the United States. 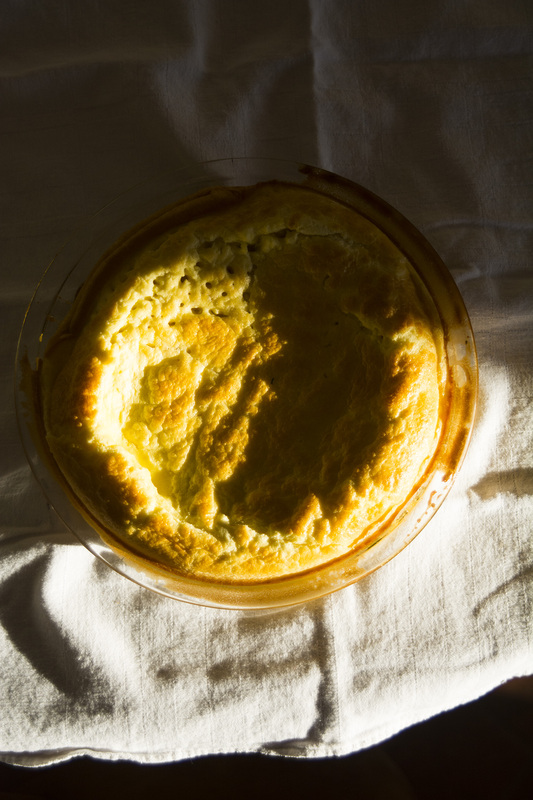 Spoonbread closely resembles Yorkshire pudding in execution and I’d be willing to bet my last nickel and stick my neck out asserting that spoonbread was the colonial housewife’s answer to “Where’s the pudding?” Early accounts of “Indian” pudding sound suspiciously like spoonbread. At the moment, without documentation, I wonder if Native Americans added eggs on occasion; that said, it is unlikely that they added milk, for want of the same and the incidence of lactose intolerance as well. Amelia Simmons provided three recipes for “Indian” pudding in American Cookery (1796), two of which required baking and one boiling. All three called for milk and eggs. Later, Mary Randolph included recipes for “Indian” pudding in The Virginia Housewife (1824), as well as Puff Pudding, definitely a version of Yorkshire Pudding, which she could count on at her table because of her ability to procure wheat flour on fairly regular basis. Many households could not, because not everyone during the colonial period could afford it. Over 75% of colonial households did not own slaves, meaning that the cooks in said households were housewives who cooked with a decidedly English palette and palate. 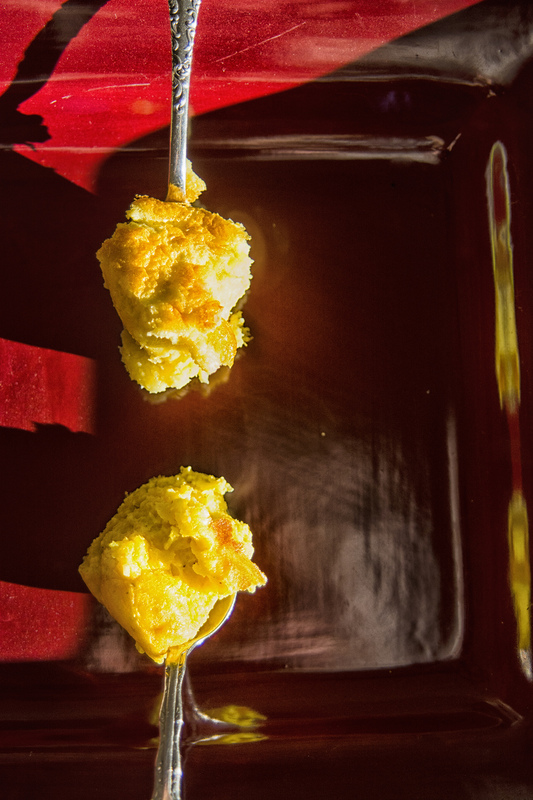 The first time I ate spoonbread, I was sure I’d eaten it before, for it recalled some childhood taste, much as the baby pudding my mother fed my little brother, its base sweetened condensed milk, which formed the basis for the formula my parents concocted for me, a preemie who never nursed at the breast. I am sure if my father were still alive, he’d tell me, yes, his mother made spoonbread. In fact, after a sleepless night, thinking of my father and how he’s no longer here to ask questions of, and wondering where I could find the Sandman while counting dozens of sheep as it were, I suddenly experienced one of those “Eureka” moments. You see, I baked a Yorkshire pudding last night, using lard as the fat, for lack of proper suet. It reminded me, first of all, of one of those sweet German pancakes. But memories of spoonbread kept nudging their way into my consciousness. Sure, several writers suggest a cousinly relationship between Yorkshire pudding and spoonbread. None, however, seem to have followed through on testing that in a more scientific manner, that is, actually baking these and tallying up the similarities and differences. And so that is what I did. By baking both the Yorkshire pudding and the spoonbread in a shallow pan – specifically a glass Pyrex pie plate/pan – and not a soufflé dish, the physical resemblance between Yorkshire pudding and spoonbread became quite clear. I used Jane Grigson’s recipe for Yorkshire pudding from her book, British Cookery (1985) and I followed Jan Carlton’s instructions for Mile-High Spoon Bread, in Richmond Receipts Past & Present (1987). Most sources state that Native Americans taught the colonists how to use cornmeal. 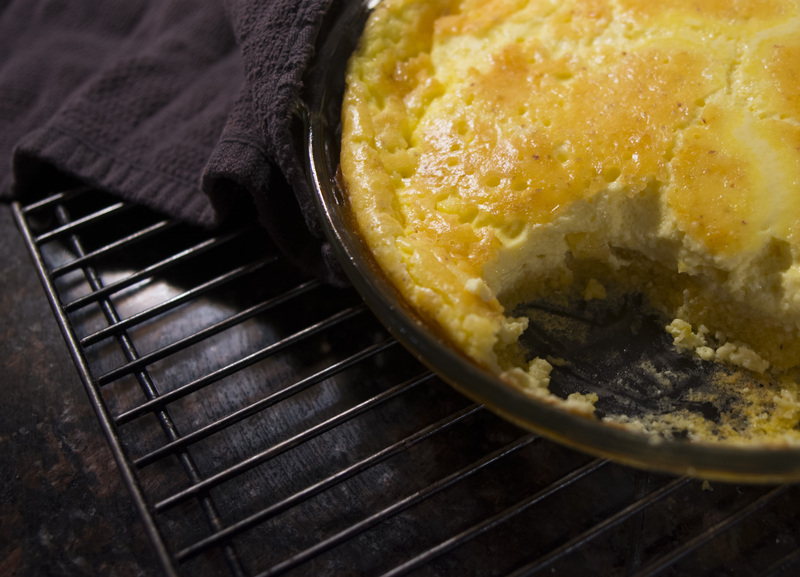 To make a proper spoonbread, the cook must create a mush first, then add the milk and eggs. I used untreated cornmeal, grainier than flour, and it sank to the bottom, as I expected it to. The reason why cornmeal fails to behave as does wheat flour here in part lies in the difference between corn gluten and wheat gluten, which are proteins. In the case of wheat, gluten provide stringy structures that help to trap air and assist in the rising of bread and other products. Corn, on the other hand, will not produce the same results. When a cook set out to make spoonbread, and first boils the mush, what happens is that starch granules in the cornmeal undergo what is called gelation, a process that softens the granules as they absorb water. The grind, or size, of the corn particles is very important, depending upon what dish the cook wishes to make. 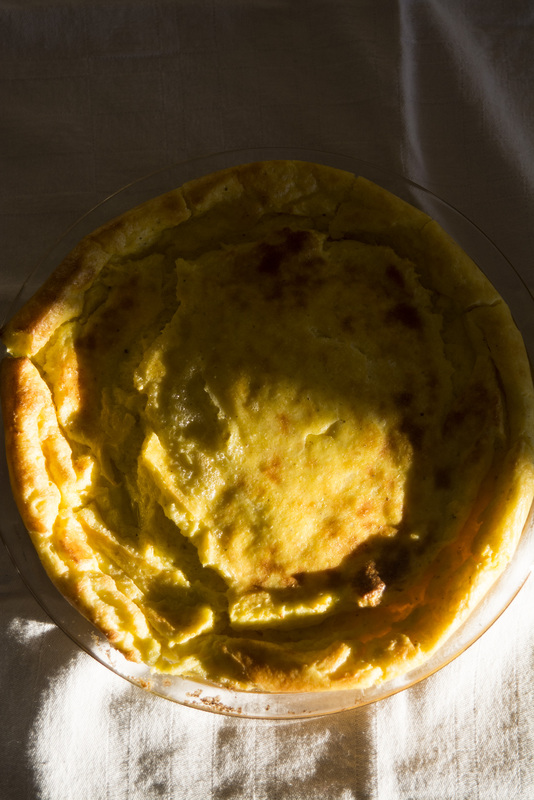 Since the chief contributor to structure in corn is the starch, the addition of eggs plays a terribly vital role in creating the type of culinary architecture sought in dishes such as spoonbread. Egg chemistry, as with gluten, relies on proteins for structure. There’s a fine balance involved in heating eggs, because eggs – as any cook knows – can turn rubbery very quickly, due to the fact that any water or other liquid (milk, in the case of spoonbread and Yorkshire pudding) will be unable to bond with the proteins if the heat is too high. The egg proteins coagulate into a thick mass. As you can guess, adding liquids in the amounts called for in Yorkshire pudding or spoonbread causes egg proteins to become diluted. With sufficient time, and evaporation during baking, the egg proteins bond to form a matrix, but a much less dense one. That’s what happened when I cooked up that spoonbread. Delicious hot, it’s also lovely at room temperature, or heated up slightly, with a dollop of butter and a squeeze of honey. Personally, I like spoonbread much better than Yorkshire pudding, but that’s probably the American in me. And this whole exercise points out something of the process that occurs when people find themselves in culinary exile, away from familiar foods and trappings of their natal kitchens. *The importance to early colonists of cornmeal as a substitute for wheat flour becomes very apparent, too, when considering the numerous grist mills that sprang up wherever people settled. “Corn,” by the way, was an English word for many types of grains, and not just “maize,” as they labelled “Indian” corn. 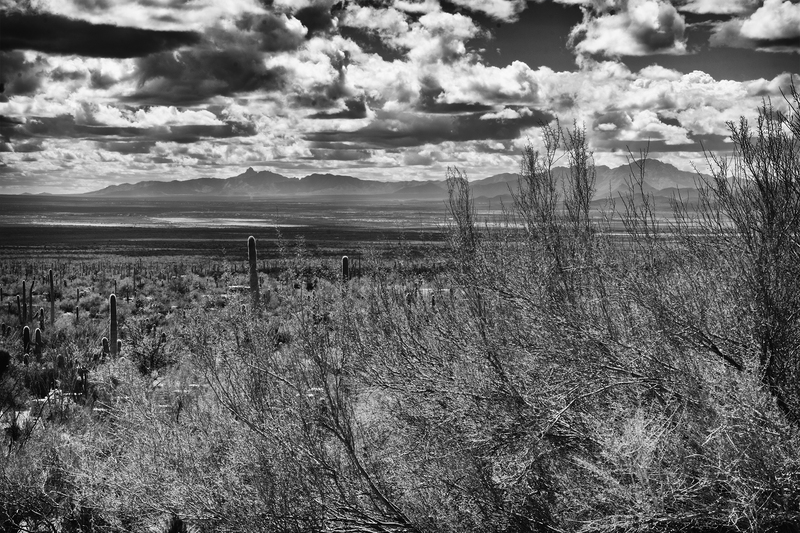 In the beginning, before clearing land, corn was planted, and later wheat. Wheat gained a foothold beginning in the18th century and George Washington grew a fair amount of wheat at Mount Vernon, attempting to reduce his reliance on tobacco as a cash crop. Previous Post Who is a Chef? Who is a Cook?